This case explores the political and ethical issues associated with stem cell research. 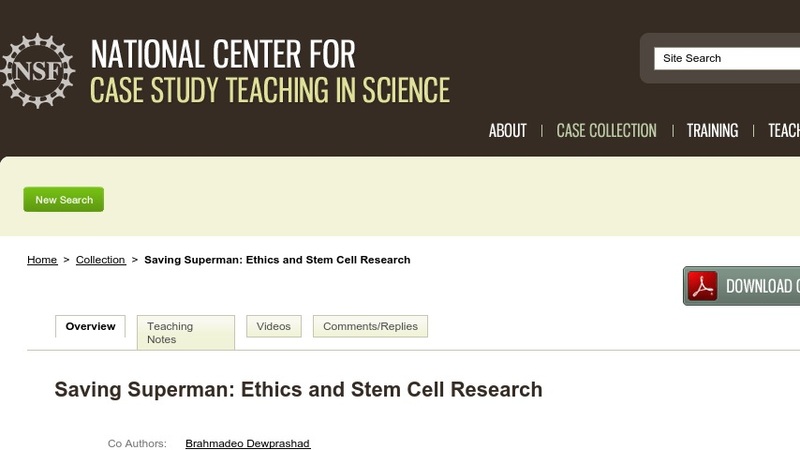 Students read the case describing Christopher Reeve’s accident and injuries and his advocacy for stem cell research along with background readings on stem cells and the ethics of stem cell research. They are then assigned to one of four stakeholder groups and asked to develop a position on whether or not the U.S. Senate should expand stem cell research with a focus on the ethics underlying the issue. They present their positions in class in a simulated public hearing.